Pascal even added that there is “a chance” “Spider-Man: Homecoming” star Tom Holland may make a cameo in Sony’s films. The characters Venom, Black Cat, and Silver Sable all originate from Spider-Man comics. but they are not among the characters included in the license-sharing agreement that allowed Spider-Man to exist within Marvel Studios’ shared universe. Sony announced its intent to make these films as part of what is being called Sony’s Marvel Universe — unrelated to the MCU — in early 2017. 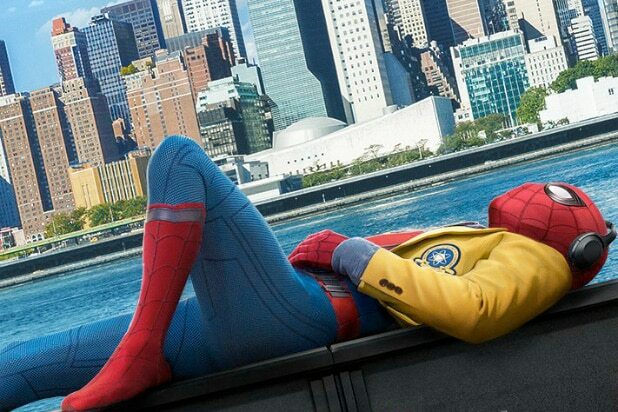 A connection between “Homecoming” and Sony’s Marvel Universe would seem to come in direct contradiction to statements made by “Homecoming” director Jon Watts immediately after Sony’s Marvel Universe was announced. Pascal’s remarks also appeared to suggest Sony’s Marvel Universe might have a connection not just to “Homecoming,” but to the larger Marvel Cinematic Universe. After all, Spider-Man is officially a part of the MCU, even if he’s still shared between Marvel and Sony. Notably, during the joint interview, Feige did not offer comment or confirmation of Pascal’s statements about ties between “Homecoming” and Sony’s Marvel Universe, instead remaining decidedly tight-lipped. Disney, owner of Marvel Studios, did not immediately respond to requests from TheWrap for clarification. This isn’t the first time Pascal has made surprising statements about the future of Spider-Man and Marvel Studios. During Cinemacon in March, she implied that the Spidey partnership between Marvel and Sony would end after only two stand-alone films. “It may never happen again — after we do the sequel,” she said. While neither Sony nor Marvel commented, a person with knowledge of the deal between the two companies told TheWrap at that time that Pascal’s comments were not accurate. That was born out earlier this week, during the same press junket in which Feige ruled out a Venom-MCU connection, when Tom Holland confirmed that “Homecoming” is the first in a trilogy of MCU Spidey pics. “Spider-Man: Homecoming” opens July 7. The teaser trailer for "Black Panther" didn't give too much in the way of plot details, but it was full of tidbits. Here's what we gleaned at the first look at Marvel's upcoming superhero movie. Turns out, Wakanda is a pretty cool-looking place. Next up -- these obvious bad guys, wandering the jungle. We haven't got any context for them yet. But Black Panther is about to mess them up. A closer look at the bad guys, likely henchmen, who are about to get walloped by Black Panther. Next we realize that Black Panther, T'Challa (Chadwick Boseman), is working with Ross, watching him interrogate Klaue from behind one-way glass. Right there beside him is ally Okoye (Danai Gurira). And the two share a look when Klaue says he knows the pair are watching. Turns out, Wakanda is a super advanced and awesome sci-fi place. We only get a few flashes of things and people in Wakanda, but one of them is Zuri (Forest Whitaker). In the Black Panther comics, Zuri is a warrior ally of T'Challa's. We're not getting much information as far as plot in the teaser trailer, but this is the first time we see Michael B. Jordan's Erik Killmonger. Right after this, he and some armed dudes blow up the wall to the interrogation room -- apparently to break out Klaue. Without a lot of context, we get a look at Lupita Nyong'o's Nakia. She's another villain, likely allied with Killmonger. And this looks to be Okoye beating up some bad dudes in the same casino setting where Nakia showed up. Expect this to be a big attack set piece. After that fight, we see T'Challa walking shirtless toward some a group, perhaps of Wakandan soldiers. Given his pose, he could be trying to convince his people of the threat posed by Killmonger and Klaue. This shot suggests Klaue sneak-attacking some poor folks in the middle of some kind of crime. 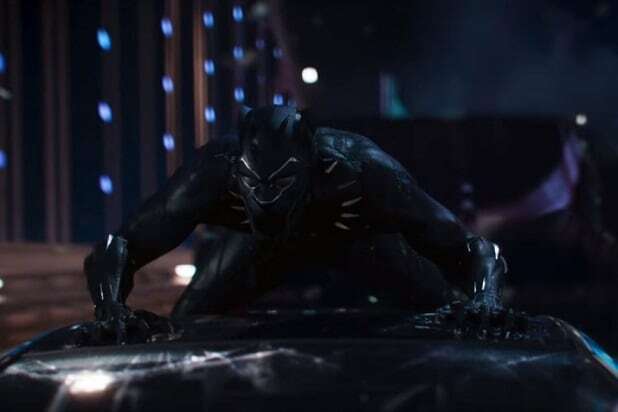 This might be the scene in which he's captured before the interrogation, or it could suggest that once Killmonger breaks him out, he's another active force that Black Panther has to fight. At least at some point, it looks like Killmonger is captured. Here we see the maskless villain and Daniel Kaluuya as W'Kabi, who serves as T'Challa's second-in-command in Wakanda in the comics. In the next few shots, it looks like T'Challa might be meeting up with various tribe elders in Wakanda -- including Isaach De Bankolé, seen here and listed on iMDB as "River Tribe Elder." With more shots of places like throne rooms, along with that earlier tribe of T'Challa approaching a group of armed people, we might be seeing a moment in which Black Panther has to try to unite various people in Wakanda to deal with the threat posed by Killmonger and his allies. Another procession approaching guards in this shot -- and could that furry outfit toward the back be worn by Winston Duke as M'Baku, better known as the powerful villain Man-Ape? And that's Ramonda (Angela Bassett), queen of Wakanda and T'Challa's step-mother. Given the fast camera movement of this shot, she looks to be under threat. Killmonger readies to take on a mess of warriors in this battle, and it looks like he's backed up by the blue-uniformed warriors in the background. We're not sure what exactly is going on in this battle, but we do know that's Ayo (Florence Kasumba) on the left. From the previous shot, it seems she's up against Killmonger and the warriors supporting him. The battle takes a turn when Nakita shows up with Shuri (Letitia Wright), T'Challa's half-sister. Looks like those snake hand things are going to mess some people up. And this looks to be Man-Ape in his full super-strong glory, looking generally menacing. Our best guess? Killmonger and Man-Ape team to bring war to Wakanda, forcing T'Challa to work to unite the rest of the Wakandans to oppose them. The trailer ends with a sick jump as Black Panther destroys a car and launches into the air as a wave of purple energy dissipates below him. No idea what that's all about, but it looks awesome.